This is a bit of a blast from the past catching me up again. I had to search through my CD stock the other day looking for an old CD and came across a CD Enhancement Mat I had bought way back in 1980. 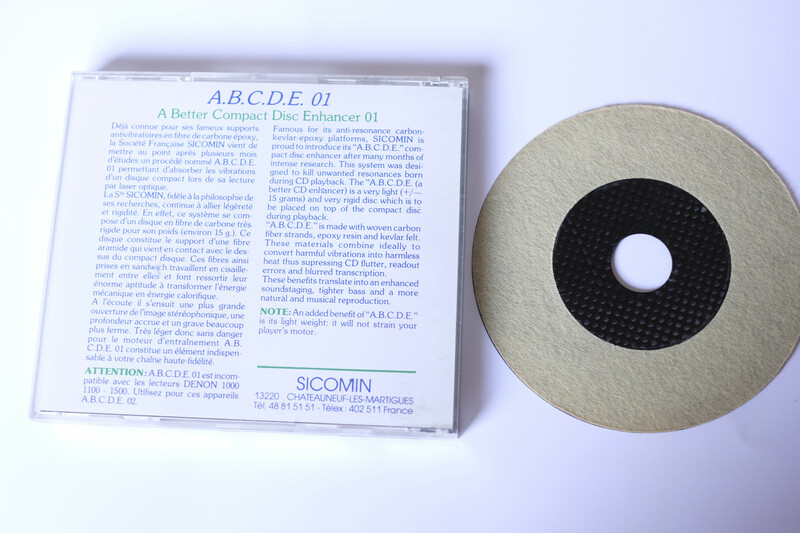 Its a Sicomin ABCDE ( a better C D enhancer) manufactured in France. 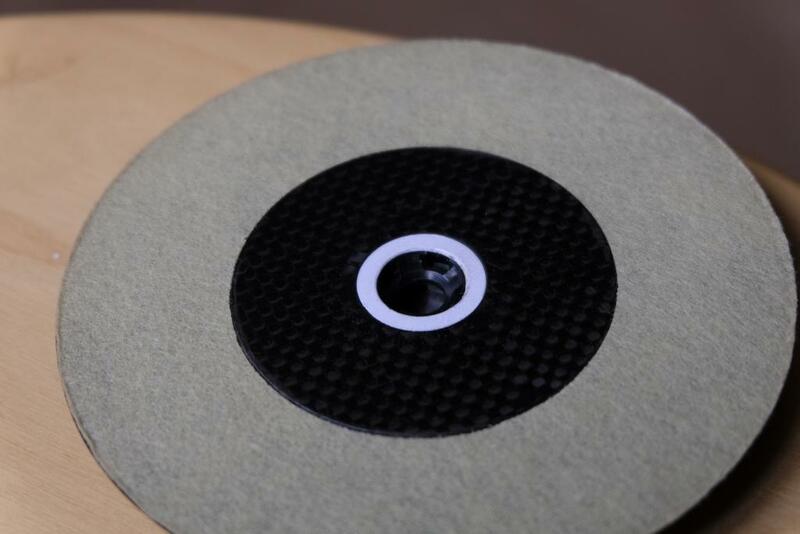 Its a carbon Fibre mat with Kevlar felt. Sitting on top of the CD as it rotated it was claimed it reduced vibration of the actual CD. In my book.-- improving the accuracy of the data read and minimising the work being done by the cd electronic error concealment ? 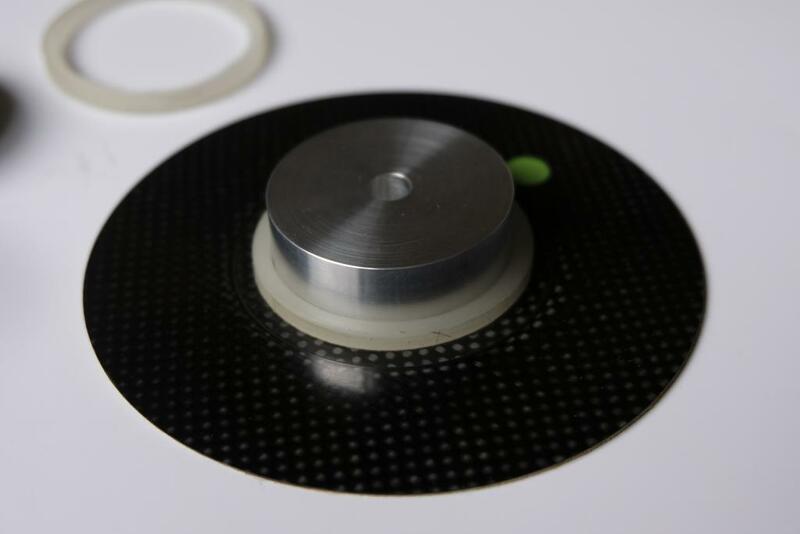 To use this, one had to stick a small plastic ring around the hole in the CD and the mat sat over the ring holding it in position as the CD rotated. I remembered it worked well, improved the treble and made the music more relaxing to listen to. The big problem with it was the plastic ring only worked on certain CD player mechanisms. Different rings were eventually offered but loading unreliabilty was high and CD's with rings fitted could only be played on certain CDPs. Given I now have a "manual" top loading CD I wondered if this mat could be used again. I tried it on my CD2 with the Magnetic Puck that holds the cd onto the rotor holding both the mat and CD. The results were very good but the concentricity of mat to CD was poor. I had to reference the mat central hole to the CD and Magnetic Puck centre. 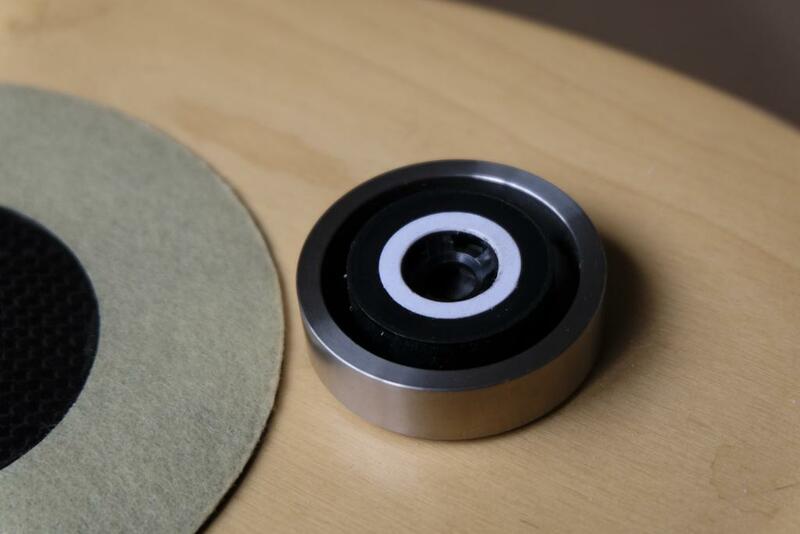 Initially I placed a thin paper disc onto the base of the puck this fitted into the hole on the Mat. This worked well but operationally it was far to much of a fiddle to set it up. I made a jig that would ensure a plastic ring could be precisely fitted to the mat , made the appropriate ring from plastic then used the jig to glue it onto the matt. 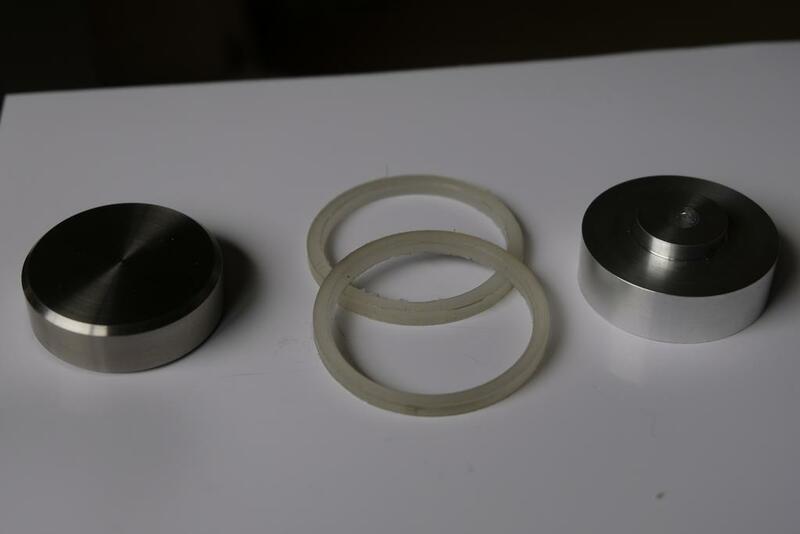 The hole in the mat is 0.800", the puck outside dia is 1.735", ring inside dia 1.737". Loading the CD was now easy and repeatable. Load CD, place matt on top roughly centred, place the puck into the new ring and all 3 align. full testing was very pleasing, more natural sound with an obvious improvement in treble. Lifted the CD2 up a level. Caine gave me the info on Belcanto suppliers about a year ago but I was out of comission for some months with a health issue and I have misplaced it or wiped it from my PC in the many hassles I had with W10. Anyone old enough to have a Sicomin CD Enhancer lying around -- and a CD2-- I made 2 rings as well as the jig. Seriously looking for an old Sicomin --made in France --where is Maro? Last edited by Ianmac on Sun Mar 17, 2019 1:42 pm, edited 1 time in total. Engineered SA-NMR Renderer (Ianmac PSU) :Topping D50 DAC.Sony CDP D11 pro: 2*-Hypex Ncore monos: Kef ref1-2. do you think this cd player sounds better than your streamer? My instant answer is yes - but I need to do some more tests to check like with like. My CD2 is connected balanced via a passive switch to my NCore amps. 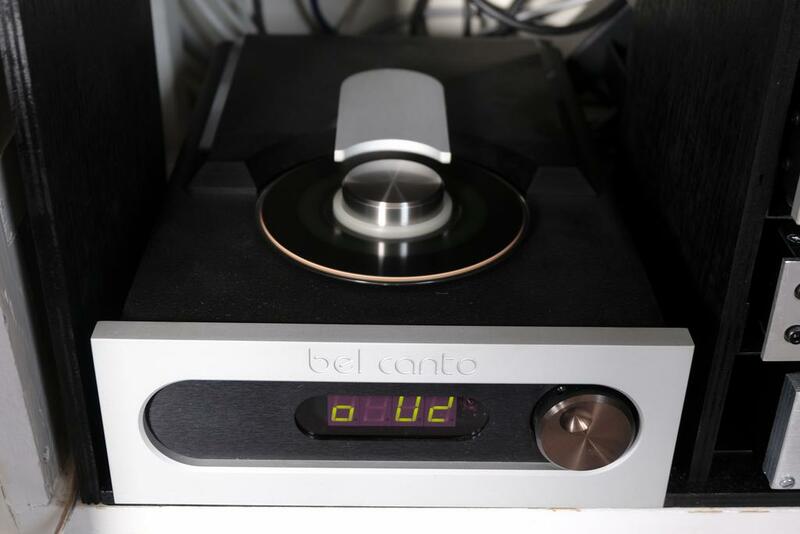 This uses the CD2 inbuilt DAC and its own Volume control. Ill get back when Ive done the above. I have been doing more delving into why these dampers work. This stereophile atricle makes interesting reading, if your head doesnt nip before you get through the 8 pages. Having read it today Ill re read in 24 hrs! My original comment re "error correction" should read "error concealment" ill change the initial post. I did say your head might nip ? It certainly has me thinking. My current conclusion is that we are back to an issue with timing as/if the disc moves in the vertical plane as it rotates i.e. a variant of our old friend "Jitter "
I have now done comparisons with bit perfect ripped CD played via my streamer against CD replay using a Matt. The CD with the Matt is better to my ears! Not surprising as one would imagine a ripped CD in a PC transport mech would be similar or worse than an Audio CD mech. One is ripping with built in jitter errors ? never to be removed ? I venture to suggest that today's transport mechanisms, lasers, and electronics are far superior to those back in 'the days' . That being so I'd think that any 'add-on' would actually degrade the read process on a current CD player rather than improve it. Surely that should be easy to test, though? Just get a WAV file, burn it to CD, rip it from CD, bit-for-bit compare the two. I've done tests of that type in the past, and have always been surprised at how robust and error free the process is (or at least was in the case of the very ordinary kit that I used then). From my reading I consider the the error correction on a CD reader to be very robust. Error concealment is not as robust. The tests I have done used bit perfect rips from Exact Audio Copy and CD poweramp. I think the issue is bit to bit timing accuracy caused by the varying ( minute) vertical distance between the laser head and the disc land area so we are back in the general area of timing "Jitter" as we commonly call it.? Like putting a Puck on my vinyl record the mat is dampening the CD. The SQ improvement on my CD-2 is very similatr to that achieved when we switched from SMPS supplies to linear PSU on Squeezebox. 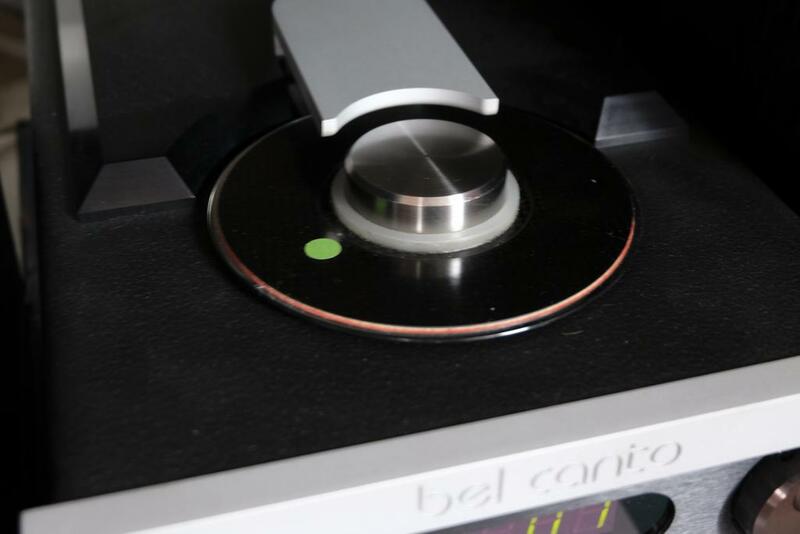 The CD-2 uses the Pro version of Philips mech range, the vertical mechanical movement of the rotating disc supporting shaft will be to an extremely tight tolerance, likewise the laser. To try and satisfy myself on this issue it would seem to me that my best course of action would be to rip some CD's from a Computer based CD transport with and without a CD mat in position. The two bit pefect rips could then be compared both from listening tests and PC based analysis from software like Audio Diffmaker. My problem now is finding a second CD mat and getting someone with some knowledge of PC based CD/DVD transports that will advise me as likely models that will allow a CD matt to be installed. There must be mats out there lying with CD collections. Ill use the wanted ads on the forums. mojo wrote: Surely that should be easy to test, though? Just get a WAV file, burn it to CD, rip it from CD, bit-for-bit compare the two. 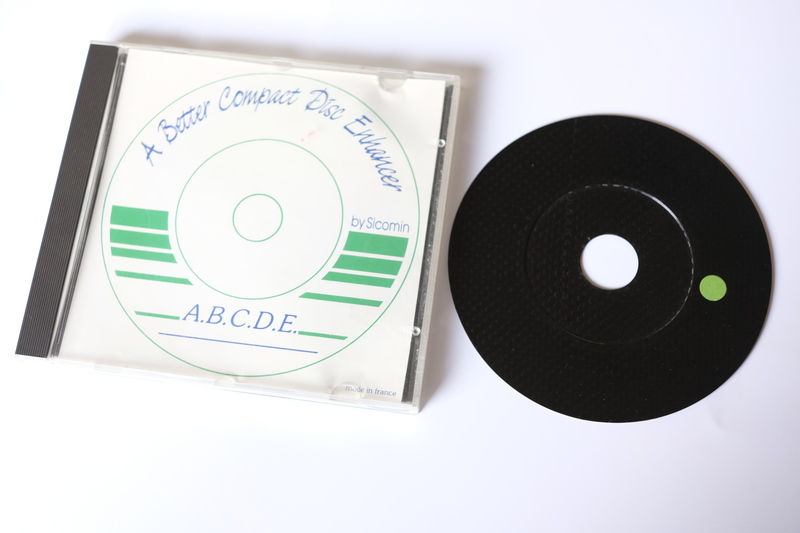 You have to be careful here - an audio CD that you burn yourself onto a standard CD-R is a very different animal to a factory produced audio cd. zippy wrote: You have to be careful here - an audio CD that you burn yourself onto a standard CD-R is a very different animal to a factory produced audio cd. Physical differences, e.g. the way that they are 'burned' - I believe commercial audio CD's are actually moulded not burned. Of course, yes, the way in which the less-reflective parts are created is different, but I thought you were implying that the way in which the data is formatted is different. If so, you would be right, in that commercially-made CDs sometimes stretch/break the boundaries of the standards in their efforts to prevent copying and/or "improve" the user experience with non-audio content. Personally I would think of these as relatively subtle differences, rather considering it to be completely different, but I guess we all have our own perspectives on these things!